Durango, Colorado which means 'water town', is home to over 16,000 people including the late Apollo 14 astronaut, Stuart Roosa, as well as actor and Oscar nominee, Tom Tully. Visitors can enjoy the Old West heritage that can be experienced in Durango everywhere, from parks and museums to the annual town fairs and festivals. Here are the best things to do in Durango, Colorado. The San Juan National Forest was created by proclamation in 1905 by Theodore Roosevelt; in 2012 President Obama proclaimed and designated a part of the forest as Chimney Rock National Monument. 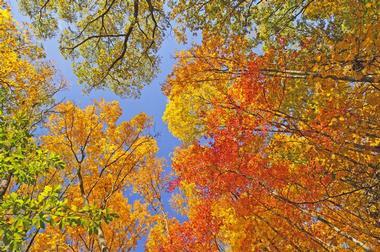 The 1.8-million-acre land, titled as a U.S. National Forest, can be found in the southwestern corner of Colorado. The forest is bordered by the Uncompahgre National Forest and the Rio Grande National Forest and covers a portion of the San Juan Mountains. Visitors of all ages will enjoy discovering the forest, especially the three designated wilderness areas that are part of the National Wilderness Preservation System: The South San Juan Wilderness, the Weminuche Wilderness, and the Lizard Head Wilderness. A Nationally Registered Historic District, Downtown Durango is where the Southwest meets the Old West. Modern-day living and western charm intertwine in the downtown area which is filled with boutique hotels, award-winning restaurants, wonderful museums, art galleries, and shops. 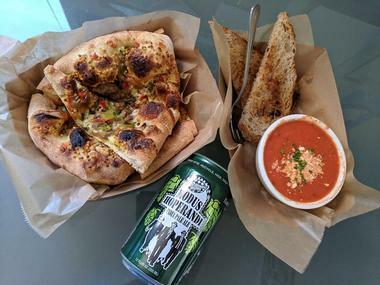 Visitors will enjoy browsing the shops filled with unique trinkets and local goodies in the one-of-a-kind stores, or relaxing with a cool drink at one of the many brewpubs. 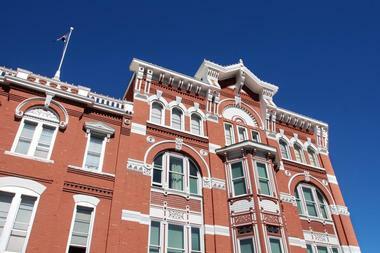 There are many historic sites to explore in Downtown Durango whether visitors are on the commercial Main Avenue or on the parallel residential street, Third Avenue, including the Strater Hotel which was constructed in 1887. 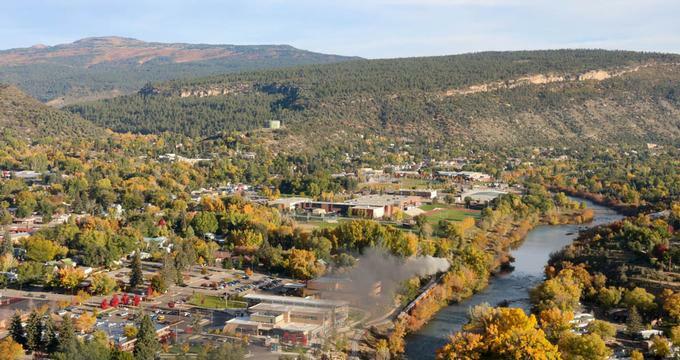 The town of Durango was founded in 1879 by the Denver & Rio Grande Railway, so it comes as no surprise that one of the attractions visitors should go to when in Durango is the Durango & Silverton Narrow Gauge Railroad and Museum. 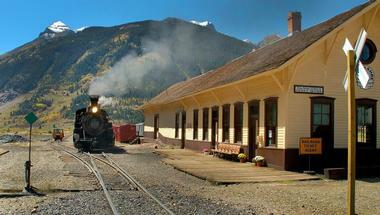 The railroad and museum operates out of the original 1882 depot, from which visitors can go on a breathtakingly scenic ride through Colorado's San Juan Mountains on a vintage steam locomotive. Running for seven miles along the Animas River, the Animas River Trail starts from Animas City Park and cuts across five bridges and numerous city parks. Visitors can explore the natural beauty of the flowing river and the lush trail surroundings. Furthermore, there are opportunities to see the spectacular Durango and Silverton Narrow Gauge Railroad run along the tracks beside the trail; eight trains safely run through the trail daily. Visitors can enjoy meeting other people walking or jogging on the trail or picnicking on the river banks during the summer months. It is also a common sight to see people kayaking or tube floating down the Animas River. The Powerhouse Science Center is the perfect place for families to spend a day when visiting Durango, Colorado. The interactive science center is located in a former coal-fired, steam-generated AC power plant which is exciting to explore all on its own. There are a number of entertaining exhibits, programs, and activities for visitors to participate in. James Ranch is situated in the gorgeous Animas River Valley and comprises over 500 acres of land filled with everything visitors hope a ranch would have: Crystal-clear flowing water, a spruce tree nursery, organic vegetable and flower garden, grazing Jersey milk cows and 100% grass-fed beef, and a beauty that is sure to take your breath away. Visitors can understand and experience the day-to-day operations of ranch life while getting to know the James Ranch family, the land, and the surrounding community. Visitors on the unique adventure can leave not only with great memories but fresh produce, chicken and eggs, raw milk, whey-good pork, grass-fed beef, and artisan cheese - all available at the Ranch Market. To top it off, visitors can also fill their stomachs at The Harvest Grill and Greens which offers meals created with fresh ingredients directly from the ranch. Though it hasn't been proven, it was once thought that the Animal River was originally named Rio de las Animas Perdidas. In 1765, Spanish explorer Juan Maria de Rivera had recorded the name as Rio de las Animas, or River of Souls as it translates to in English. The river which flows through Durango, Colorado is one of the most-visited sites as it is filled with activities such as kayaking, whitewater rafting, or tubing, and places for visitors to explore such as the Animal Trail and the railroad. Animas River is 126 miles long and is an arm of the San Juan River. 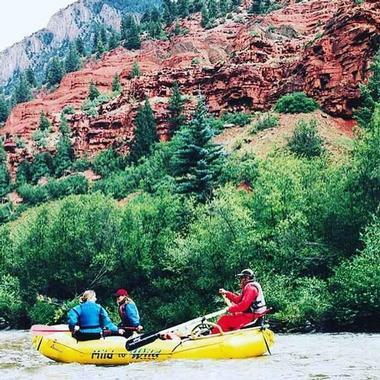 Mount Waters Rafting offers one of the most fun activities that Durango, Colorado visitors can take part in: Whitewater rafting! The experienced staff are focused on everything rafting and make sure that all visitors, no matter their age or skill level, are able to participate and have a great time. Sharing the insatiable passion that Mountain Waters Rafting has for whitewater rafting with everyone who visits, there are various difficulty levels offered; even better, there are things for people to do even if they don't want to go rafting! For example, a couple of the mixed adventure packages the company has on offer include 4X4 Jeep trail tours, a tour of Mesa Verde National Park, SUP and bicycle rentals - including a Pedal and Paddle combo tour, zip lining, rock climbing, and other adventurous excursions. 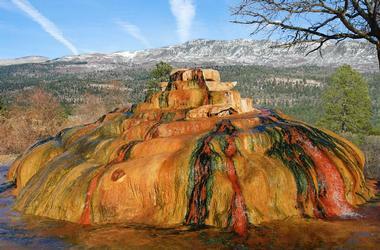 Located within the rocky San Juan Mountains is the breathtakingly gorgeous Purgatory Resort. Twenty-five miles north of Downtown Durango, in the heart of southwestern Colorado, the resort sits amidst glaciers that were carved thousands of years ago. Visitors don't have to go just for the view, even though it's completely worth it, as there's a plethora of activities offered. Visitors can ski down the steep trails, chill on the wide-open cruisers, take lessons if they're a beginner, or just relax with a warm drink. Purgatory Resort offers over 1,360 acres of skiable terrain, 5 terrain parks, 10 lifts, a vertical drop of 2,029 feet, and 88 trails to explore. Mild to Wild Rafting and Jeep Trail Tours has been offering an adventurous Durango experience for over 20 years now. Considered the whitewater experts of the southwest, the tour company offers whitewater rafting not only in Colorado, but in Utah and Arizona as well. Experience and skill come together at the tour company where visitors can pick a tour and adventure package that is best-suited to how they would like to explore Colorado and all it has to offer. Mild to Wild works with local businesses and attractions to create combined packages for their customers, including jeep rides, train experiences, and much more. Run and maintained by the Colorado Parks and Wildlife Headquarters, the Durango Fish Hatchery and Wildlife Museum has been running since 1881. There are 19 hatcheries located throughout the state, all dedicated to improving fish populations in Colorado. Everyone in the family, no matter their age, will enjoy a stop at the Durango Fish Hatchery and Wildlife Museum. Entrance is free, but service is impeccable as informative volunteers take visitors through the grounds, allowing them to explore the museum and feed the fish. It's also a great opportunity to see a lot of the local wildlife, both on the grounds as well as in the nearby river and trail walk. Back in the day, cowboys would drive long-horn steers across the country in the day and settle down and relax somewhere for the night. It was in those nights that the cowboys would gather around the campfire with their grub, tell jokes, exchange stories, sing trail songs, and just enjoy themselves. Bar D Chuckwagon takes visitors back in time to the Old West with musical and comedy performances, lively dances, and comfort food that warms the soul. A family favorite for over 50 years, visitors will love all of the activities available such as a mini train ride and playground for kids, hay rides, gold panning, horse shoes, roping, and nature trails to hike on. There's also a chocolate shop, an ice cream and java café, a blacksmith shop, gift gallery, leather shop, record shop, and a cowboy chapel for weddings. Visitors who are looking for exciting activities during winter vacation and want to be amidst a scenic location can head to the Ice Pirates Snowmobile Tours. 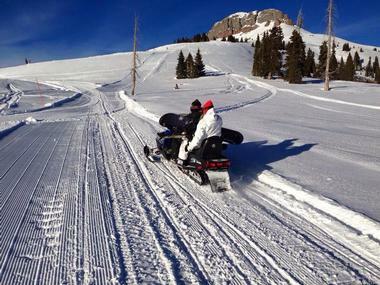 The backcountry snowmobiling adventure is spread over 55,000 acres of Colorado terrain that gives visitors a high alpine adventure they won't be able to find anywhere else in the state. Tour packages include a 2-3 hour tour with amazing photo opportunities 12,000 feet above sea level, Molas Pass snowmobile experiences, private tours, and tours packaged with train rides through the mountains. There's no other place than Ice Pirates for visitors to get an amazing 360-degree view of the San Juan Mountains. Colorado's premier long distance trail, the Colorado Trail, stretches nearly 500 miles from Denver to Durango through the breathtaking Colorado Rocky Mountains. Visitors and trail enthusiasts can hike, mountain bike, or even horseback ride through the trail - enjoying its spectacular sceneries of creeks, lakes, peaks, and diverse ecosystems on the way. 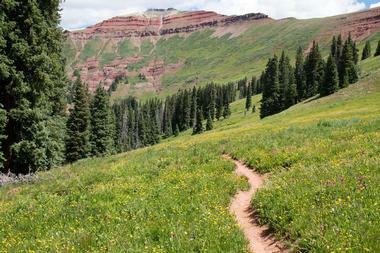 Trail users experience eight mountain ranges topping out at 13,271 feet and six wilderness areas. Users traveling from Denver to Durango will climb 89,354 feet while the average elevation is over 10,000 feet, rising and falling dramatically. What better way for visitors to spend their Durango vacation than by horseback riding in the Southwest Colorado Mountains during the summer and sleigh riding through the frosty wonderland in the winter? Since 1982, Rapp Corral has taken visitors on an in-depth exploratory adventure of the San Juan Mountains. Visitors come across wildlife and ride through tall pines and spectacular groves, getting up close and personal with the stunning scenes that will makes any trip to Durango a memorable one. 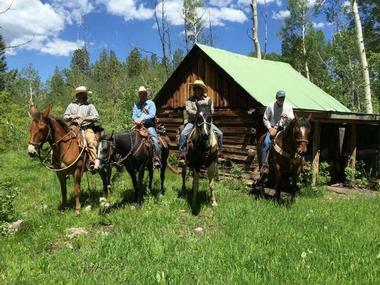 The family-owned establishment is filled with experienced wranglers and trainers so that anyone, no matter their level of experience, can enjoy their horseback adventure through the mountains. Named after dairy farmer James Harvey Pinkerton, Pinkerton Hot Springs started out as a flow of water that used to seep from the hillside which travelers would stop by and see. After creating a traffic hazard, the Colorado Department of Transportation decided to redirect the spring's water to a cement structure which was soon covered in mineral deposits - creating the red-tinted rock pile structure that visitors see today. There are many hot springs throughout the San Juan Mountains, but this one in particular has a lot of history; for example, it is said that water from the springs was considered 'medicinal and contained healing properties' with people coming from all over to bathe in it or drink the water in search of a cure. Today, visitors can go to the unique site for a bit of their own healing. Formerly known as the Diamond Circle Theatre, the renovated Henry Strater Theatre is one of the oldest, most prestigious theatres in the United States. World-renowned, the theatre has been hosting performances and other events for over 50 years, operating year round as a place where the community can come together. Visitors can enjoy local and national live bands and touring productions, including a performance featuring the soothing vocals and guitar riffs of local musician, Greg Ryder. Performances take visitors back in time to the old west with skits, music, poetry, and even good old-fashioned singalongs. 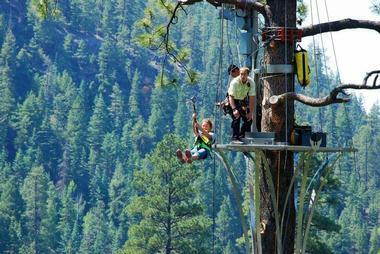 A visit to Durango, Colorado isn't complete without a trip to Soaring Tree Top Adventures, where visitors can do just that and go on an adventure soaring through the tree tops. It is the longest and safest zip line course of its kind, with over 27 different zip lines for visitors to choose from all ranging from 56 feet to 1,400 feet. The zip lines carry visitors across and over the majestic Old Growth Ponderosa Pines, the stunning Aspen Groves, and the Animas River. Visitors who are planning on zip lining need not book a separate trip on the Durango and Silverton train ride, as the zip line experience includes a first class train ride through the Colorado mountain terrain to the remote Alpine location in which the zip lines start. 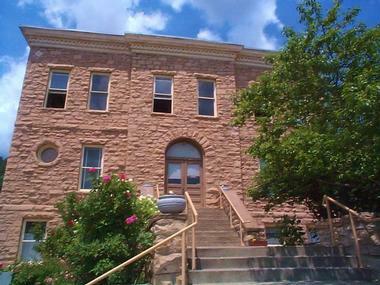 The Animas Museum is a charming attraction that gives visitors a peek into Animas' local history. The museum is housed in a converted 1904 school building and is filled with exhibits, photo archives, and an extensive research library. One of the exhibits is a replica of an early 20th century classroom which includes the large double-hung windows, high ceilings, slate blackboards, ornate desks, and even the old school-house lights. There is also a selection of locally-created weavings, basketry, pottery, and beadwork that is displayed in the permanent collection. There are programs for visitors of all ages to partake in throughout the year including a walking tour of the historic downtown. 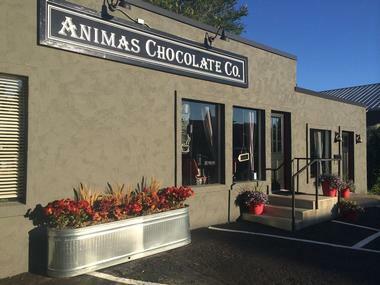 The Animas Chocolate Company is managed by Head Chocolatier and Co-Owner Carley Snider. She was walking down the banks of the Animas River one day when she came upon a worn-down leather book filled with recipes for chocolate truffles and other assorted chocolates. The feedback she got from the concoctions was overwhelming and the Animas Chocolate Company came to life. 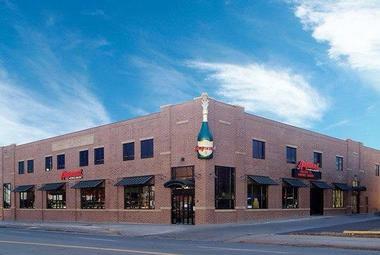 Durango Craft Spirits is Durango's first grain-to-glass distillery after the prohibition. Visitors can not only wet their tongues with some of Durango's finest offerings, but they also can go back in time and see how things were done in the old west. Spirits and cocktails can be found in the tasting room and drinks that shouldn't be missed include the Soiled Doves Vodka and Mayday Moonshine. Visitors can get souvenirs such as shot glasses, flasks, tees, hats, and hoodies from the on-site shop. There's also a large collection of groomsmen and bridal party gifts that make the perfect addition to any wedding party. 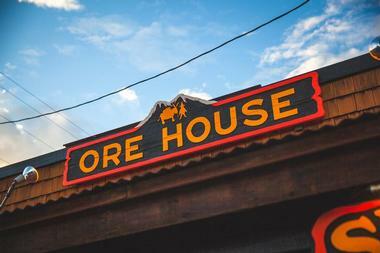 The Ore House is one of Colorado's finest restaurants, established in 1972 in Durango. The restaurant, which is owned and operated by chef Ryan Lowe, strives to serve as a respite for mountain travelers and a hip experience for southwestern Colorado foodies alike. Sustainability and environmental responsibility are emphasized in the restaurant's philosophy, with all food prepared from wild-caught game and locally-sourced seasonal produce. Steak choices include T-bone, teriyaki prime flatiron, and 21-day wet-aged chateaubriand. Other land and sea specialties include wild-caught Alaskan king salmon and Alaskan king crab, with meat-free options available such as vegetarian Wellington with portobello mushrooms and roasted red peppers. Extensive beer, wine, and cocktail offerings highlight beverages from local Colorado breweries and distilleries. 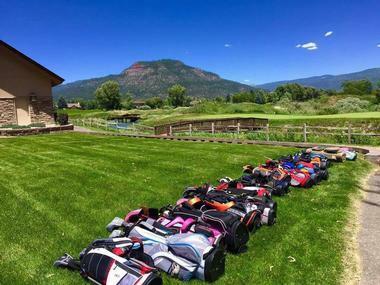 Situated along the Animas River, the Dalton Ranch Golf Club is absolutely spectacular and guarantees a good time for golfers and non-golfers alike. The 7,000 yard layout with four sets of tees lies on the foot of the San Juan Mountains and provides visitors with stunning views of Colorado. There's an 8,500 square-foot club house, tennis courts, an outdoor swimming pool, and a fitness facility that guests can use. The family-friendly facility also has a large kid's playground area so younger visitors can have a good time as well. Once the day is done, guests can relax and reenergize themselves at Swing Restaurant which has one of the most amazing patios in Western Colorado. Visitors looking for an adventurous off-road drive can head to Old Lime Creek Road. The twelve-mile stretch is used for mountain biking, hiking, camping, fishing, or to simply drive down and stop for photo opportunities of Colorado's breathtaking wilderness. The 4x4 road doesn't make for a difficult drive and can be done within two hours. The trail was once used by Ute Indians while hunting, by prospectors looking for silver and gold, and as a main road during the mid-1800s. Visitors will come across many opportunities for kayaking or rafting as well. The creeks, waterfalls, and other surroundings that Old Lime Creek Road takes visitors through are a great way for families to spend the day outdoors and enjoying the refreshing Colorado wilderness.